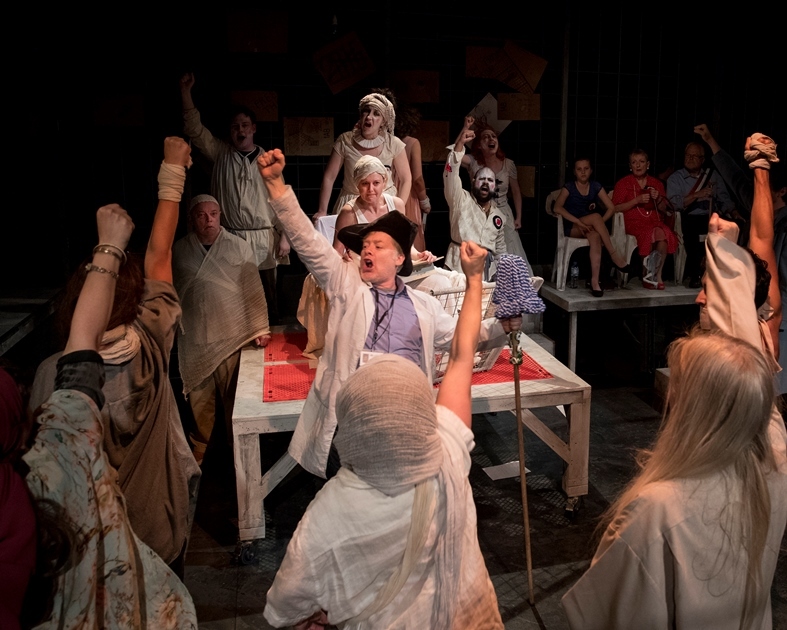 The Persecution and Assassination of Jean-Paul Marat as Performed by the Inmates of the Asylum of Charenton Under the Direction of the Marquis de Sade, commonly known as Marat/Sade, shook the theatre world to its core when it premiered in the 1960s. 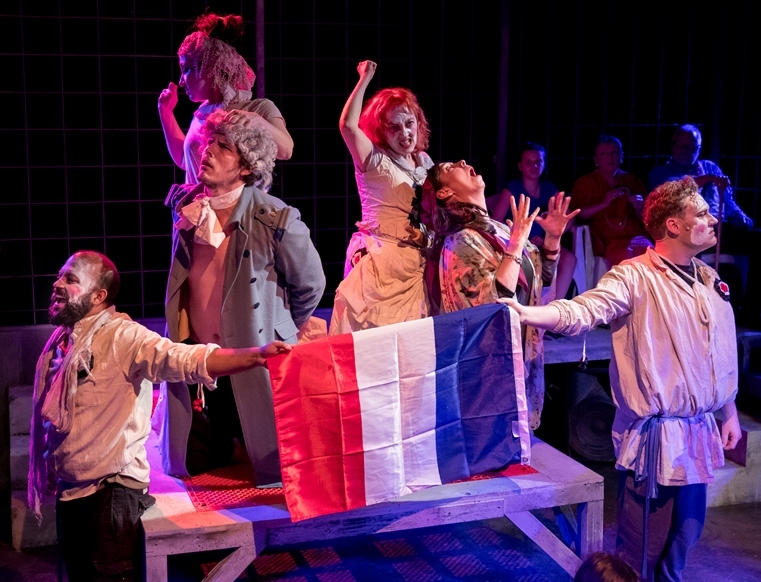 Set in 1808 in the bath hall of a French provincial asylum where the Marquis de Sade often performed plays with the inmates during his imprisonment, this play-within-a-play presents a re-enactment of the brutal murder of revolutionary firebrand Marat by the demented partisan and fellow revolutionary Charlotte Corday. Peter Weiss embraced the theatrical devices of pioneers such as Artaud and Brecht to present a bawdy, bloody, unrelenting political parable, pitting Marat’s socialist philosophy of equality and freedom from oppression against Sade’s rampant anarchic individualism, questioning class struggle and asking where true revolution lies: by changing society or changing the individual? 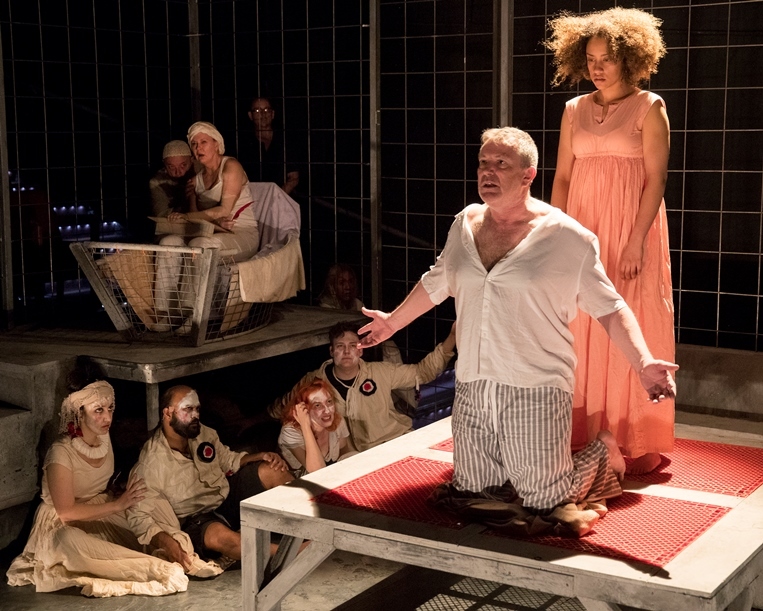 The first English production was directed by Peter Brook for the Royal Shakespeare Company. 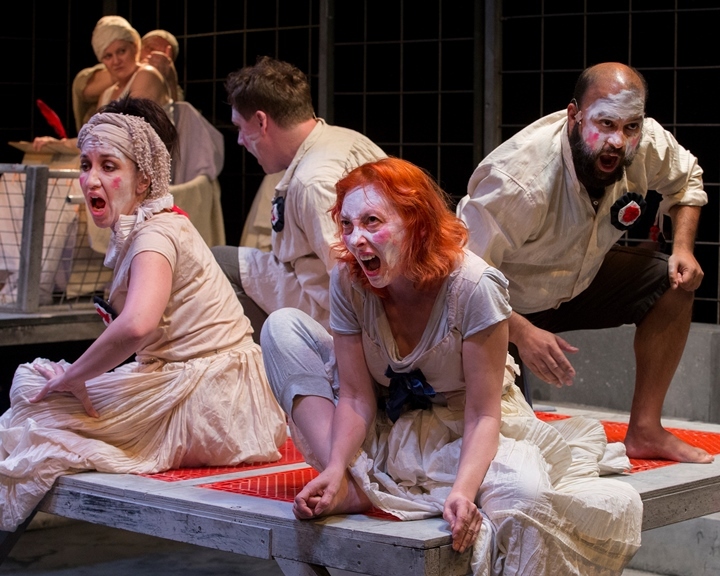 It was radical, it was avant-garde and it changed British theatre forever. 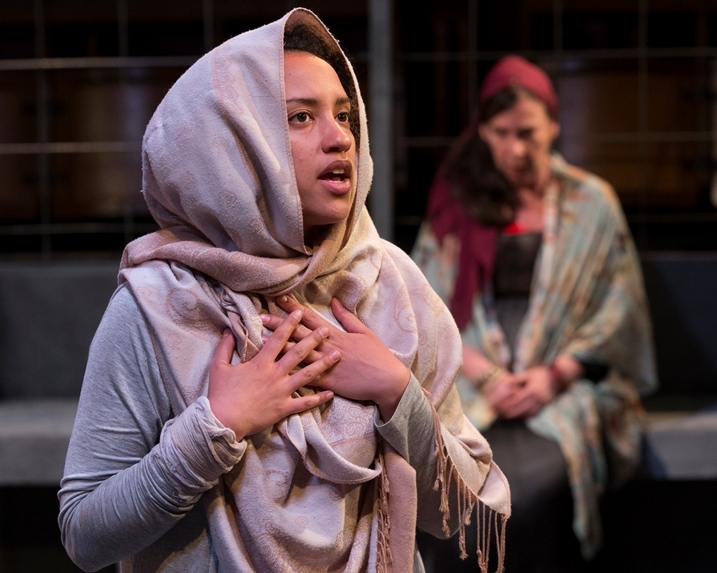 This production views Weiss’s ground-breaking play through the prism a modern day ‘Theatre of Cruelty’: the decade and a half from the Twin Towers to the mess in Syria, drawing parallels with the lives of people currently seeking refuge from war and revolution only to end up in the madness of detention centres around the world.